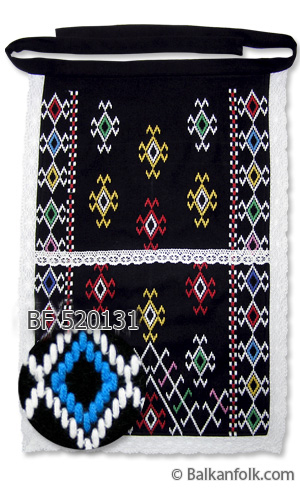 Black wool apron (prestilka) from Dobrudja Region of Bulgaria with embroidery and white lace cotton sizes: 45 cm X 68 cm.. Please note that the manufacturing time is 30 days after we receive your sizes (measurements) and payment. 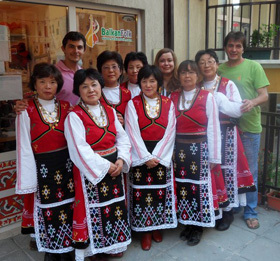 View more items than the female costume from Dobroudzha Region of Bulgaria.